The Louisville Leopards Varsity Baseball Team fell to the visiting Canton South Wildcats 3-1 Wednesday at the Field of Dreams. With the loss, Louisville is now 5-2 on the season. Cam King batted 3-for-3 and delivered the Leopards only RBI in the first inning when he singled home Bryce Zuppe from second. Zuppe singled on a 2-0 pitch to start the bottom half of the first and then stole second to put himself into scoring position for King. Canton South knotted the game at 1-1 after a series of unfortunate events for Louisville. With one out, Justin Ickes reached base on a dropped third strike and then advanced to second on a balk. On the next play, Braydon Brooks laid down a bunt and reached on an error. Ickes scored all the way from second as a result of the error. Neither team scored again until the Wildcats added a pair of runs in he top of the sixth. JC Phillippi walked and Dalton Frey singled to put two on with one out. Ickes reached on an error on the next pitch allowing Phillippi to score from second and Frey to advance to third. After battling to a full count in the next at-bat, Brooks hit a sacrifice fly to right allowing Frey to come home to make it a 3-1 Canton South lead. The Leopards lost the game despite out-hitting the Wildcats 10-4. Seven different Louisville batters registered a hit in the game including Dillon Rebuck who went 2-for-3 and Cam Lingle who recorded a double for the only LHS extra base hit. The Leopards threatened late as King and Davis Burick hit back-to-back singles to put runners on the corners to start the bottom of the seventh. Burick stole second to put the tying run in scoring position, but Louisville couldn’t punch either runner home. LHS left 11 runners on base for the game. Despite the loss, Leopards starting Pitcher Jordan Shearer pitched 6 strong innings, allowed just 3 hits, and struck out 9. None of his runs were earned. Lingle came in to pitch the final inning and struck out a pair to give the Leopards 11 strikeouts on the mound. Frey pitched a complete game giving up just 1 run on 10 hits and striking out 6 to lead the Wildcats. Louisville is now 14-8 against Canton South this decade which includes a 7-3 mark at Tim Miller Field. 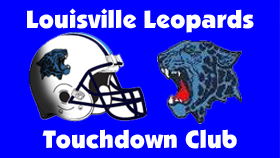 The Leopards have won 8 of the last 10 in the rivalry overall. UP NEXT: The Louisville Baseball Team will next travel to take on the Northwest Indians on Saturday, April 6 at 1:00 PM. JV will host the Indians at the same time.